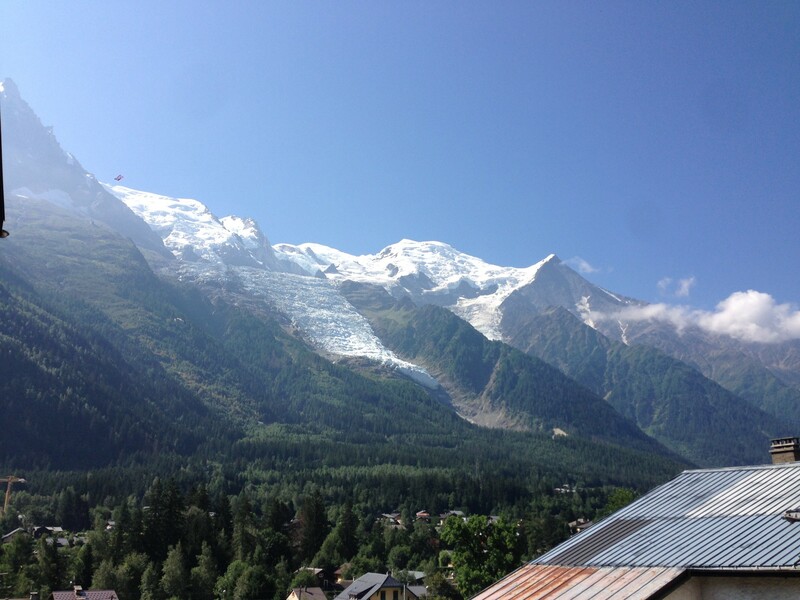 As you will have seen from this website, normally we look out over the Mont Ventoux, but yesterday instead we had this lovely view over the Mont Blanc. I must say that after a month of the daytime temperatures being well over 30° and the nights well over 20° it was very nice to feel cool again – even if only for one night. Meanwhile back at the vineyard it has been 37° for the last few days. This July has been exceptionally hot and at the moment it is well on track to be the hottest July on record. Thanks to the wet winter the ground water is reasonably plentiful which is allowing the vines to hold up well and at the moment 2015 promises to be a good harvest – fingers crossed and touch wood! Looks very C O O L ! Lovely view and it must have felt like a relief compared to the sizziling high temps down in the vines!